Sidney Joseph Fegan was born in Sydney on 31 August 1910, son of Sidney Francis and Emily Maud (d.1969) Fegan. He died at Northwood, Sydney, on 2 July 2003, survived by his son John Leo Fegan and daughter Susan. A requiem mass was held at St Michael’s, Lane Cove, before his interment at Rookwood Catholic cemetery. Sidney Joseph Fegan was living in Ultimo when he enlisted in the Royal Australian Air Force on 26 January 1943. He was ranked Corporal with Northern Command when he was discharged on 21 March 1946. Sidney Joseph Fegan’s occupation has not been established but several members of the Fegan family worked for Sydney Council. The Sidney Fegan Centre was named after Sidney Joseph Fegan’s father who was a cleaner. His brother Cecil Francis Fegan served on Sydney City Council for 51 years, being Health Inspector in 1938 and Health Officer from 1953 to 1973. Sydney George Fegan was another staff employee, working for the council from 1938 to 1963. He lived at Ultimo before moving to Northwood. Fegan was Alderman for Phillip Ward, 1 December 1962 until 13 November 1967 when the council was replaced by City Commissioners. 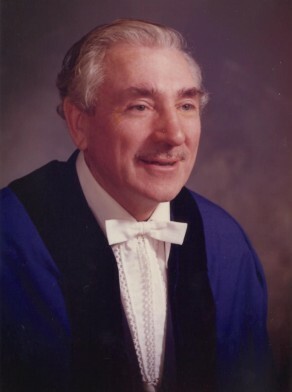 Fegan was re-elected Alderman for Phillip Ward, 27 September 1969 to 19 September 1980. He was a member of the City Planning and Improvements Committee, 1963-67 and its Vice-Chairman in 1964. He served on the Finance Committee, 1963-67 and 1972-80 and was its Vice-Chairman in 1965. He was a member of the Works Committee and the City Development Committee in 1969 to 1971, the Community Services Committee, 1972-79, the Properties Committee in 1978 and the City Health and Engineering Committee in 1979. Sid Fegan retired in 1980.